Super Junior's Ryeowook talks about his comeback album and the impact of his military training. Ryeowook of Super Junior is back in the limelight after his mandatory military enlistment. The K-pop idol opened up about his experience during his training and his new single in an exclusive interview with Korea Times. The K-pop idol said that his new album "Drunk on Love" sets a sophisticated, mature tone than his last album "Little Prince". The new single dwells into the psych of the lover after a breakup from his love interest. Ryeowook stated that "through this album, I wanted to expand my musical repertoire" at the SM Entertainment Communication Centre in Seoul. Ryeowook further stated that his album opens with a song titled "I'm Not Over You", which is a "slow-burning pop ballad underscored by piano melodies and orchestral arrangements". The song sets the pace of love infused with pain after heartbreak. The album consists of seven tracks with songs like "One and Only", "Drunk in the Morning". "Without You", "Something Good", "Sugar" and "The 2nd Story" specifically dedicated to his fans. 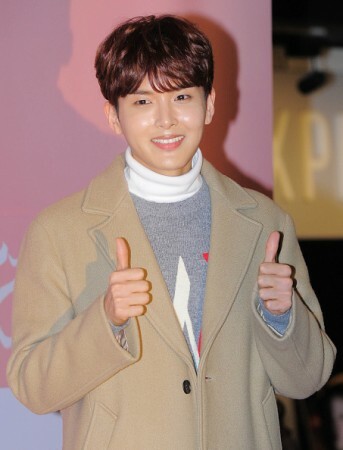 Talking about his experience at military service, Ryeowook revealed having built a close friendship he formed and said, "I've never showered with any members, but in the military, we showered together and saw all aspects of each other during those two years, making me feel comfortable around them". He further stated that the military changed him in many ways and he has transformed from being shy and sensitive to a more confident and bolder version of himself. He said that the "time spent in military really changes a person. My surroundings didn't change, but since I did, it felt like my surroundings also changed and made me feel better". As a precursor to other celebrities who are yet to enlist for military service, the star said, "It'd be a lie if I said it is not difficult, but there are also many fun parts". Ryeowook expressed his love and gratitude towards Super Juniors for promoting and doing well while he was away. In his free time, Ryeowook is busy training his physical strength and mental spirit by hiking. "Drunk on Love" is set to launch on December 11.